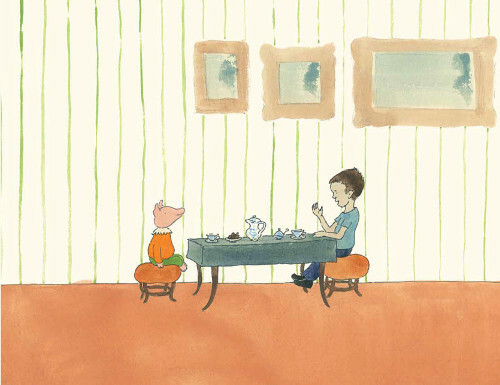 I’m taking a moment today to share some spreads from Maria Gulemetova’s Beyond the Fence (Child’s Play), originally released in the UK in 2017 and published here in the U.S. last year. 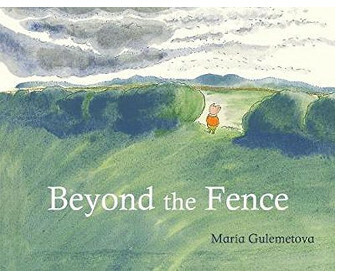 Last week, the nominations for the 2019 CILIP Kate Greenaway Children’s Book Awards were announced, and Gulemetova’s book was included. 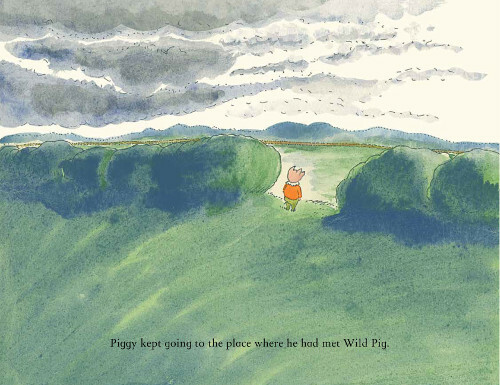 This tame-to-wild, domestication-to-freedom narrative is oft-explored in children’s literature, this particular story about a domesticated pig who meets a wild one and eventually frees himself of his clothes and runs out into the wide, wild world. We saw something similar, for instance, in Peter Brown’s Mr. Tiger Goes Wild. However, this book takes that story to new places, and I love the notion of sharing this with young readers and letting it sit in their minds and hearts. Piggy lives with a boy named Thomas, who talks. A lot. Thomas dominates the conversation, in fact, and doesn’t leave Piggy any room to express himself or his opinions. What Thomas wants to play, Piggy plays. What Thomas wants to do, Piggy does. What Piggy wears? Well, Thomas drives that too. “Thomas knew what suited Piggy,” Gulemetova plainly states. Gulemetova was born in Bulgaria. Her father was an illustrator, and her mother, an art historian. She evidently makes her home in the U.S. now. I love this book’s pacing; it’s never rushed. And Gulemetova’s artwork also allows for the story to breathe. 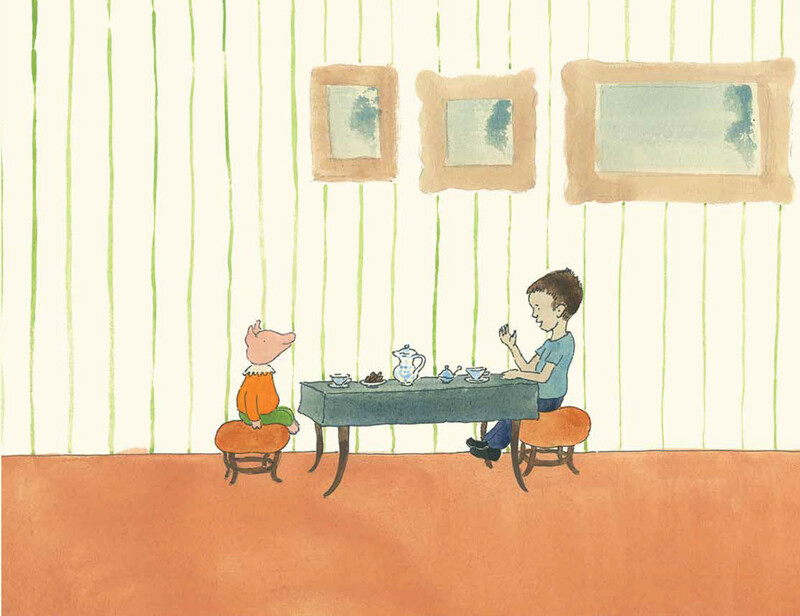 Here are some more spreads so that the illustrations can speak for themselves. BEYOND THE FENCE. Text and illustrations copyright © 2017 Maria Gulemetova. First published in 2017 by Child’s Play (International) Ltd, UK. Published in USA in 2018 by Child’s Play Inc., Auburn, Maine. Illustrations reproduced by permission of the publisher.